Most project-driven businesses have dispersed employees, and labor is a major component of project costs. Existing time card systems are inconvenient, but timely, accurate and detailed information is critical for management reporting and prompt payment from your customers. Our customers told us "We hate wasting time on time entry!" 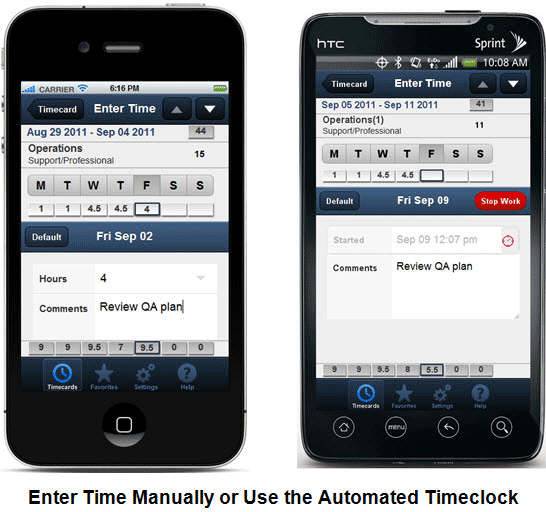 So we developed two applications that leverage the strengths of Oracle® Time and Labor™ while making time entry fast and easy. Both products provide disconnected access for field workers so they can enter their time conveniently, anytime, from anywhere. 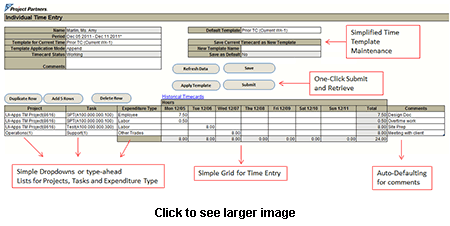 TimeSpeed makes complex time entry easy via a flexible Microsoft Excel spreadsheet, for individuals or groups. Project Partners applications don't replace Oracle Applications - we enhance them and make them easier to use. Our applications comply with Oracle standard security and the business rules you defined in Oracle Applications. 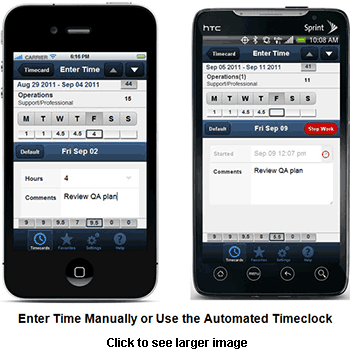 Leverage your existing investment in Oracle Time and Labor while reducing the time and hassle of timecard entry. Use Project Partners mProjects application.